The Cobble Hill Townhouse is a large, historic, 1850's townhouse in the Cobble Hill Historic District. Previous renovations had divided the house into four apartments and compromised much of the original detail. 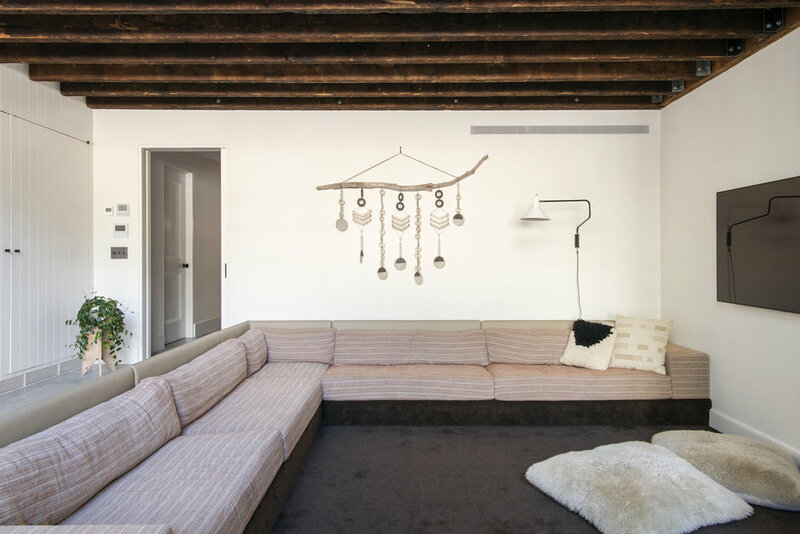 The project involved a full gut renovation of the original structure, adding a sizable three-story addition to the rear of the building, and restoring the street facade. 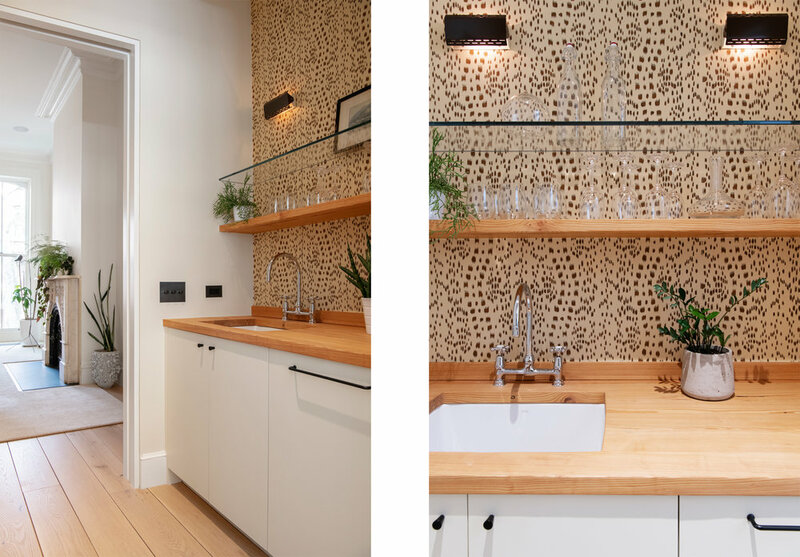 The double-height kitchen is located at the garden level of the house within the volume of the new addition. A 20' high steel window wall connects the interior to the large garden. 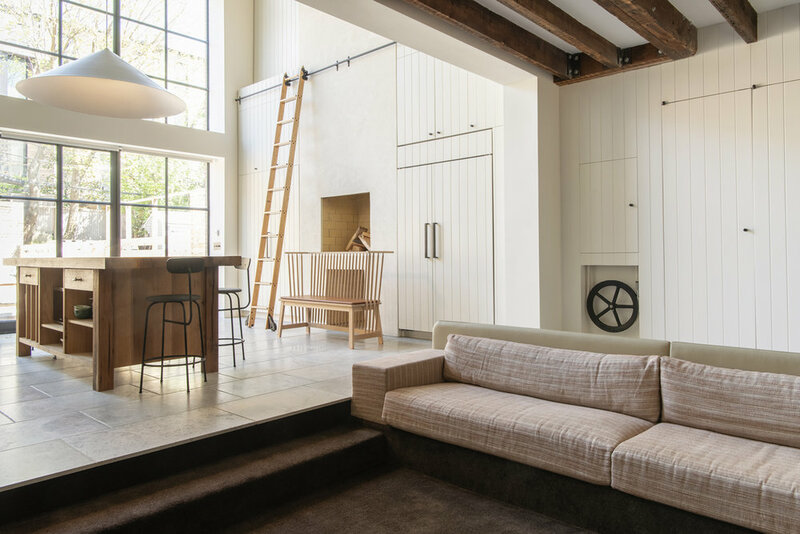 Adjacent and open to the kitchen is a sunken seating area with a custom built-in sofa by ERAD. 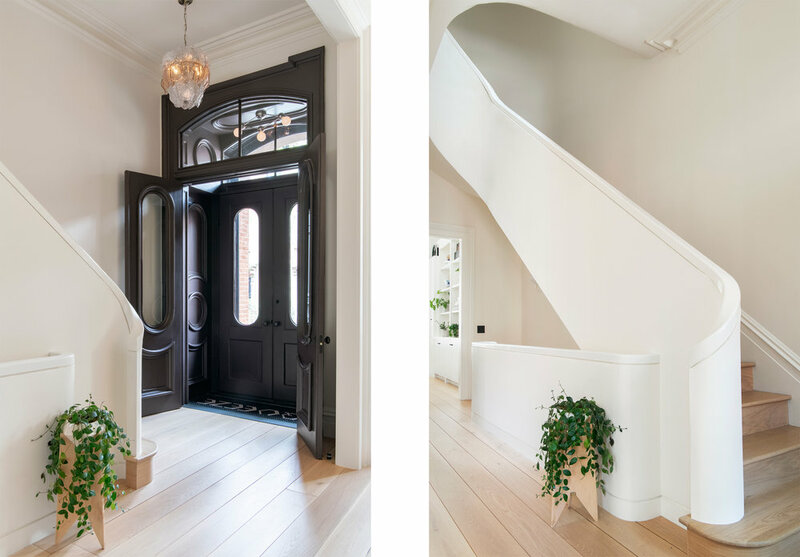 The new oval stair with plaster rail spatially connects the garden and parlor floors with two floors of family bedrooms above. 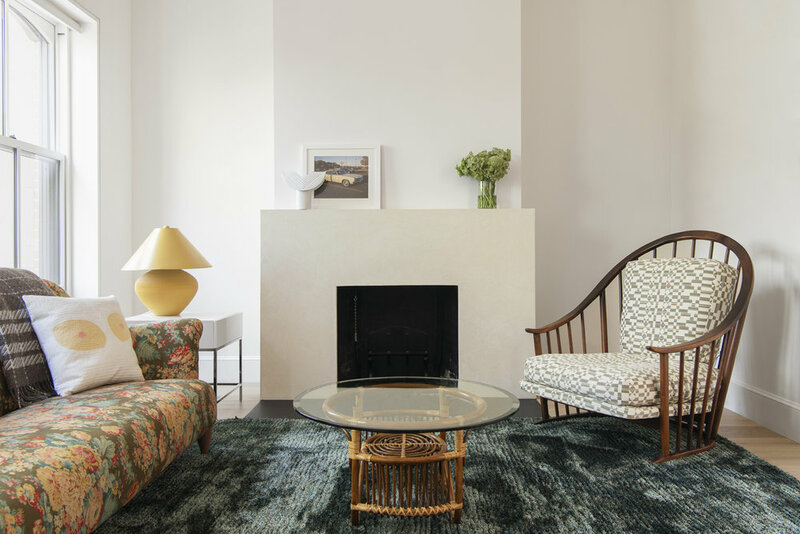 ERAD provided full interior design services, working closely with the clients to incorporate their existing art collection, existing furniture, and new furniture that ERAD custom-designed or purchased for this project. The project includes all new windows, mechanicals, plumbing, efficient heating and cooling systems, and a sprinkler system. 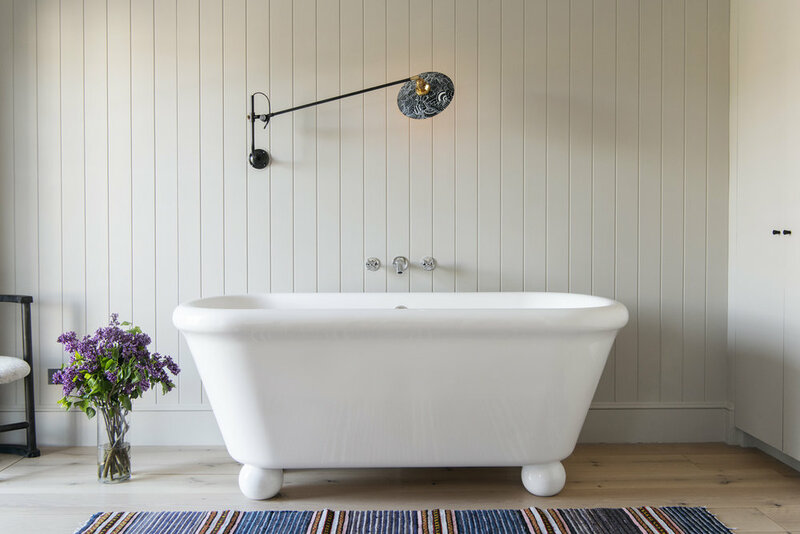 The finishes and fittings throughout the house are entirely new, and were designed to refer both to the history of the building, and clients' desire for a contemporary home.